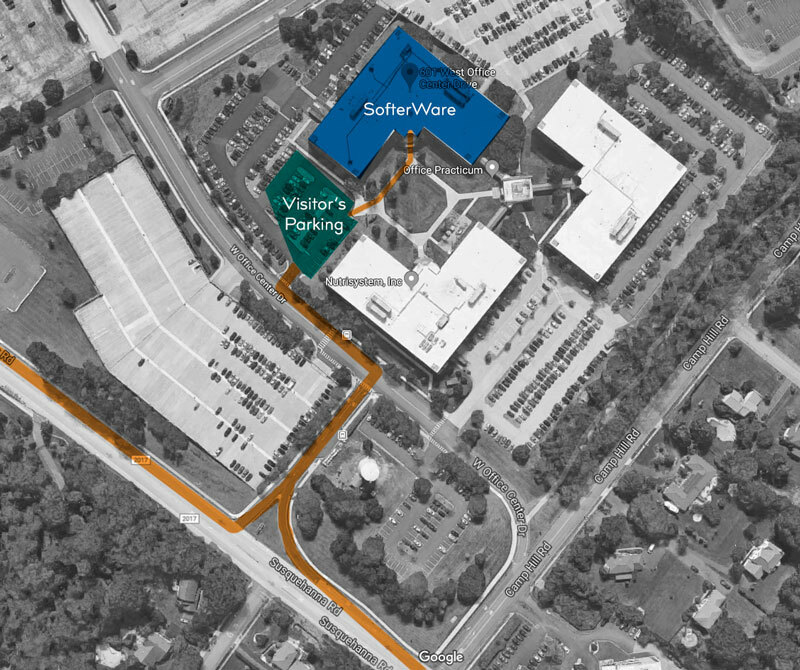 Once you have arrived, please park in any of the reserved SofterWare parking located in the main parking lot. After parking, walk to the courtyard, keeping to the left side, and head for the doors. Go through the vestibule and you will see the main entrance doors located to the right of our brass sign. Keep in mind our main entrance is only unlocked during business hours. Still confused? Click the “More Details” button below for more direction and a birds-eye view of the office complex.